There are certain things it is important to take into to consideration when choosing a towing company to entrust with a long distance towing job, perhaps the main one is reliability. You will not find a more reliable towing company in Pasadena CA than Olympus Towing. We are a local company dedicated to providing Pasadena’s motorists with top class comprehensive with a wide range of towing services, long distance towing naturally among them. We operate 24/7 all year round, guarantee a 30 min ETA and offer rock bottom rates. We lead the field in all aspects, professionalism, reliability and attractive rates among them. What allows us at Olympus Towing to meet our goal of full customer satisfaction on each and every towing job we undertake is a combination of highly professional, experienced, dedicated personnel and state of the art, perfectly maintained tow trucks, accompanying gear and logistics infrastructure. Our techs are the best in the business, they are fully aware of what they need to pay special attention to on long distance towing jobs. Tows of over 20 miles are generally regarded as long distance tow.  If you need a vehicle towed over a relatively long distance in, to or from Pasadena CA we are the ones you can trust to get your vehicle to the designated destination on time and in exactly the shape it was when you left it with us. On long distance towing jobs we make sure to plan the route in advance and take into consideration stops to be made on the way for gas and rest. We will carry the tow out in such a way as to ensure your vehicle will be where you need it to be exactly when we promised it will be there. Olympus Towing Pasadena CA provides a full range of towing and roadside assistance services, long distance towing among them. All our services are available nonstop, 24/7 all year round. Gas filling, flat tire change, car lockout solutions or any other roadside assistance service you may require.